Possibility to spend the night at Phuket airport (HKT), if open 24 hours. Services available, places to rest (free resting zones), or look for the list of nearby hotels and vip lounges..
Phuket airport is open 24 hours a day, so you will be able to spend the night inside the enclosure if you have a flight early in the morning. However, it is recommended to have a sleeping mask and earplugs, as the lights remain on and there could be loud announcements through the night. Where to rest: The third floor is the most quiet, especially next to the airline offices, where there are some dimmer spots. In front of the ground floor there is also a waiting room with comfortable benches and artificial grass where you can lay down. Inside terminals 1 and 2 you can also find some VIP lounges. The only problem is that they close at night. 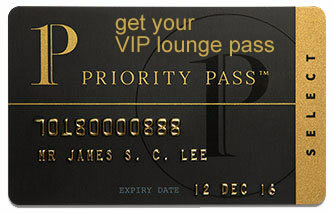 SEE VIP LOUNGES If you decide to go to a hotel, there are a couple of them situated 600 meters away from the grounds. Baggage: Luggage storage in the Arrivals Hall of Terminal 2. Eating and drinking: There are no alternatives open during the night. Wi-Fi: Free for 2 hours. About 600 meters away from the enclosure are located the Phuket Airport Hotel (Tel +66 7632 8451) and the Phuket Airport Overnight Hotel (Tel +66 896 043 461). Inside the city and in the coastal areas you can find a wide choice of accommodations. Airport Mansion Phuket (Tel +66 7620 5434), Phuket Airport Inn (Tel +66 816 077 440), David Residence (Tel +66 818 959 477), KimLung Airport Hotel (Tel +66 966 355 826), W Hostel (Tel +66 960 180 089), Memo Residence (Tel +66 994 423 939), Phuket Airport Residence (Tel +66 862 671 526), Phuket Airport Place (Tel +66 7632 7317).